The excellently named WASP-69b is roughly the size of Jupiter, but unlike Jupiter, it’s located a scant 4 million miles from its host star. A year on WASP-69b lasts just 3.6 days. In a new paper published last week in Science, astronomers from the Instituto de Astrofísica de Canarias (IAC) in the Canary Islands describe how ultraviolet radiation from the star is blasting helium particles from WASP-69b with such force that the planet’s immense gravity cannot contain them. Incredibly, the outgoing gasses have formed a distinctly comet-like tail, which the researchers were able to detect. Helium may be the second-most abundant element in the universe, but it’s notoriously difficult to detect around distant exoplanets. To sniff it out, a team of astronomers led by the IAC’s Lisa Nortmann used the CARMENES instrument, which is attached to the 3.5-metre telescope of the Calar Alto Observatory in Spain. This tool detects visible and near-infrared wavelengths at high resolutions, allowing astronomers to identify specific chemical signatures, like helium, and the speed at which they’re moving. 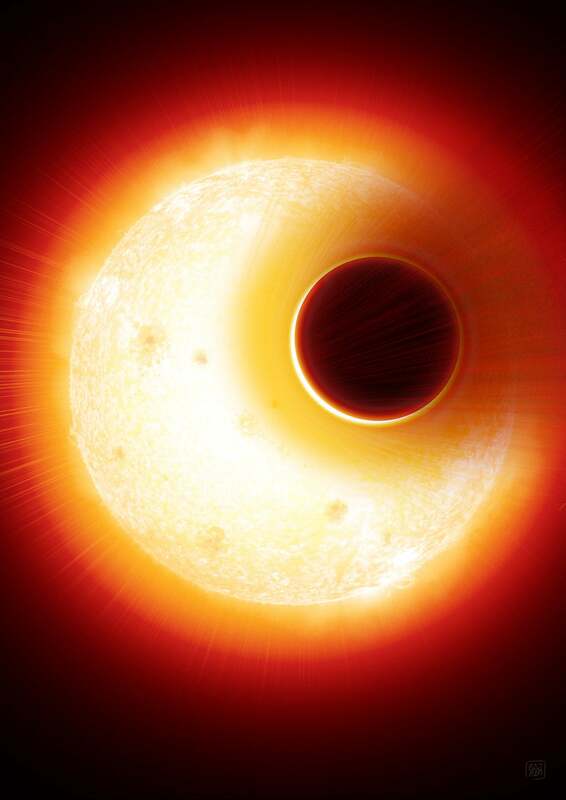 In a related paper, also published last week in Science, astronomers describe exoplanet HAT-P-11b, which, like WASP-69b and HD 189733b, is also losing its helium. In terms of the mechanism of action, the researchers theorise that the helium particles are getting super-energised by the copious amounts of incoming UV radiation, causing the particles to zip out of the atmosphere and into space. But that’s just the going theory; further observations, especially with the CARMENES instrument, could shed light on this mysterious process.